The Big brother game revolves around 20 housemates marooned in an apartment somewhere for a specified period of time, oblivious to what is happening outside, yet expected to act and go on as if nothing has changed. The fact that 20 contestants from diverse background and contrasting views is sure to create frictions that is the mainstay of the programme. And of course, some will fall in love, or develop attraction for each other. The power to eliminate resides with the audience though, and except for special cases that involves technicalities, the viewers are expected to vote for their favourite amongst those nominated for a week, with the housemates with the lowest votes ultimately eliminated, the assumption being that he/she has the least appeal with fans. It is that straight forward. Staright forward is obviously not what the organisers want, historically at leaat. They want as many twists as possible - as that is what is needed to keep viewers at the edge of their seats. 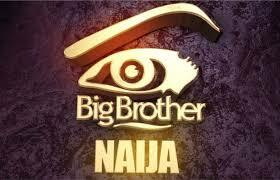 One of their many twists is to call back former housemates into the house to play for the main prize again. These housemates have been outside and have obviously felt the pulse of the game from outside, and with that information, have an obvious advantage. Add that to the fact that others still inside are playing a guessing game revolved around a blind strategy and instincts. New people coming in would also no doubt reveal things to housemates and in so doing disstabilize the status quo. Coupled that with the fact that the audience voted out these housemates for a reason, whether justified or not. Why should they be asked to vote them back in.